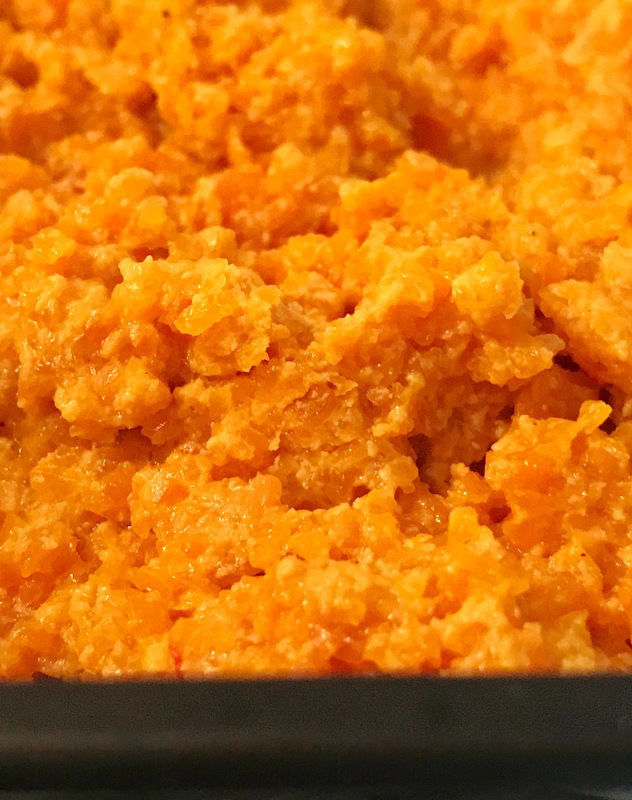 * Note For Gajar Halwa : you could use any family recipe for this, or store bought halwa. Full disclosure: I can’t ever manage to keep track of the exact measurements while making Indian sweets but here’s a rough outline of how I made mine. And halwa recipes are very “one size fits all” according to me so don’t worry about ruining it because in the end it always turns out fine. 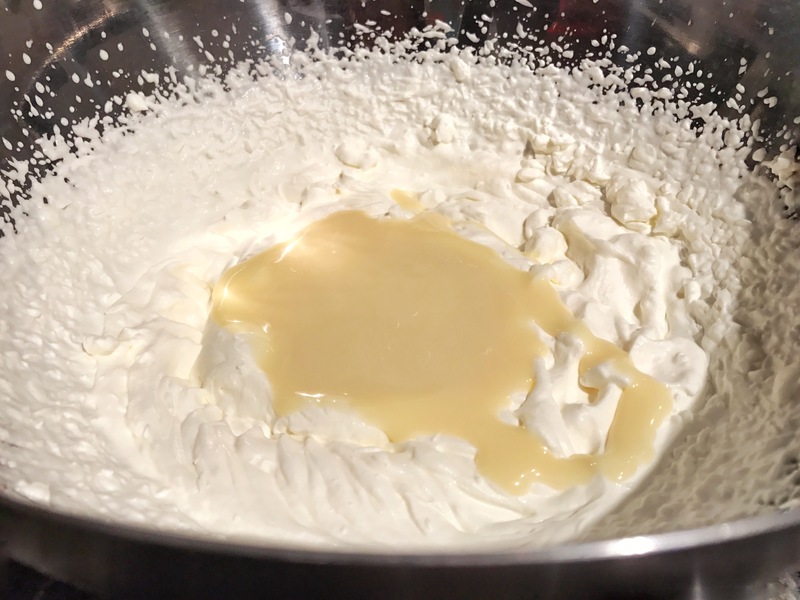 In that specified order, add all the ingredients and let them cook down until the mixture reaches a fudge like consistency. Don’t forget to stir occasionally. Let it cool and store in the refrigerator. 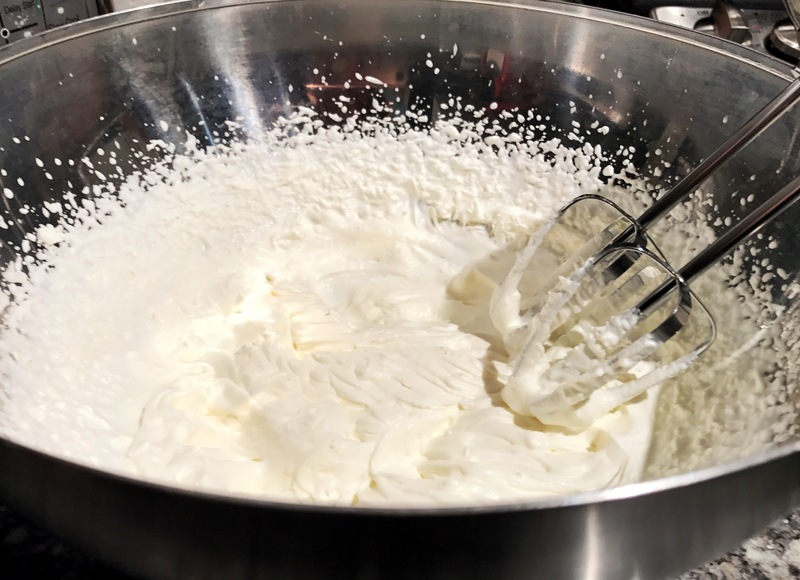 With an electric mixer, whisk the cream until it’s stiff. Add the gajar halwa and gently fold that in too. Pour it in a container and freeze for at least 6-8 hours before serving. 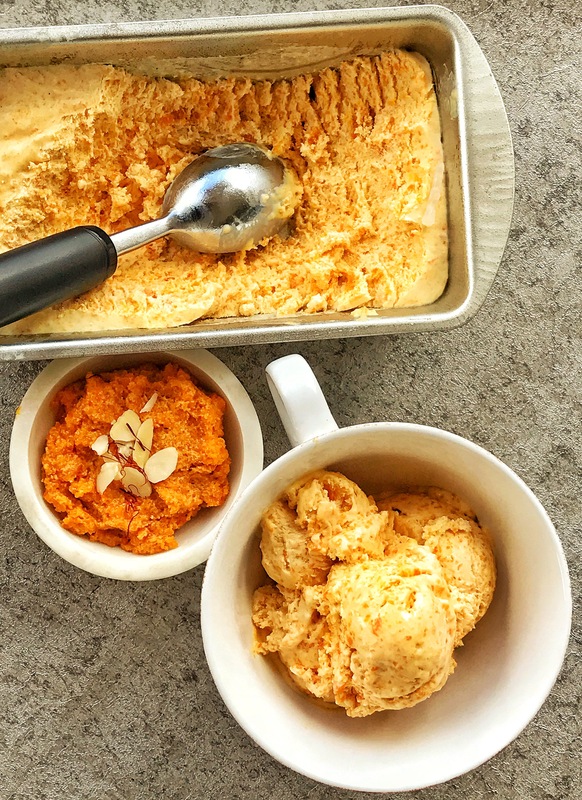 Note: I’ve made this recipe nut-free but you could throw in some sliced almonds or chopped cashews for that crunch in your ice cream.